“WANTED” – WHOM: James Kallstrom or an “Honest FBI”? Is this the same James Kallstrom who was called the “Donald Trump’s Top FBI Fanboy”? What was Mr. Kallstrom’s own role in Trump’s Presidency and in the Elections 2016, and should it not be of interest to the investigators? The bureau’s handling of the Trump and Clinton probes dispirits a veteran. The speaker is James Kallstrom, the agency his beloved Federal Bureau of Investigation. Like current special counsel and former FBI Director Robert Mueller, Mr. Kallstrom served as a Marine officer in Vietnam. Unlike Mr. Mueller, Mr. Kallstrom came up through the FBI ranks, eventually becoming an assistant director and heading the bureau’s largest field office in New York. 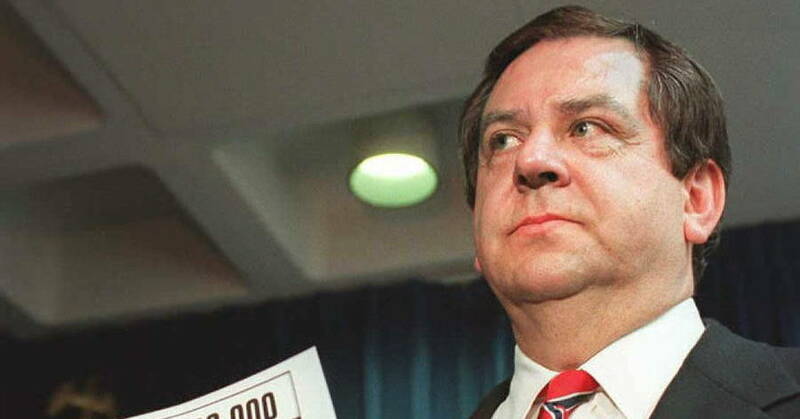 Over his career Mr. Kallstrom is credited with revolutionizing the bureau’s electronic surveillance, as well as leading big cases ranging from the probe into the 1996 crash of TWA Flight 800 to mob investigations such as the one that helped send the “Teflon Don”—Gambino crime boss John Gotti —to prison. It isn’t so much the conclusions he objects to—though he has his doubts—as the irregular way the investigations have been conducted. If the FBI finds itself discredited, he says, it’s because of its own behavior and not any campaign against it. • Director James Comey testifies to Congress in September 2016 that he hadn’t decided to recommend against prosecuting Mrs. Clinton until after the FBI had interviewed her—but it later emerges he’d started drafting his statement clearing her weeks earlier. • An FBI agent and FBI lawyer— Peter Strzok and Lisa Page —have an affair that opens them up to blackmail and poses a clear conflict of interest in working together. Even so, they fail to recuse themselves from the Mueller investigation. • This same FBI duo exchange messages that later get Mr. Strzok dumped from Mr. Mueller’s team, here talking about an FBI “insurance policy” against Mr. Trump’s winning the election, there talking about how to keep hidden from colleagues what looks like a leak to the press. The problem started, he suggests, when Mr. Comey allowed then-Attorney General Loretta Lynch to ensure the FBI investigation into Mrs. Clinton’s emails would go nowhere. He rattles off a list of irregularities disturbing to any investigator: the reluctance to go to a grand jury for subpoenas, the immunity deals granted Clinton associates, the farce of an FBI interview with Mrs. Clinton that had a dozen people in the room, including Cheryl Mills, who was permitted to attend as counsel when she was a potential co-conspirator, etc. Later Mr. Wray attempted an end run around the subpoena from House Intelligence Committee Chairman Devin Nunes for key documents and committee access to FBI officials. Fortunately Speaker Paul Ryan backed Mr. Nunes (and the House’s ability to exercise its oversight responsibilities), informing Mr. Wray that if he didn’t produce the documents and witnesses, he faced a contempt vote. Which leaves America still in the dark about the two fundamental questions regarding the dossier at the heart of the Trump-Russia investigation: What—if anything—did the FBI verify from the Steele dossier, and did the bureau use any unverified material to get a warrant to spy on members of Mr. Trump’s campaign? For those who grew up in proud FBI families, including this columnist, the disclosures about these investigations are dispiriting. As Mr. Kallstrom notes, it’s bad enough for the American people if a politician is bending the law. It’s far worse if the two top institutions responsible for upholding the law—the FBI and Justice Department—are found to have compromised themselves. 7:56 AM 12/7/2017 Michael Novakhov My Bullet Points: Stop this hysteria, and stop scapegoating Peter Strzok. FBI Current News Front Page: Should The FBI Be Abolished? FBI News Review: FBI Today Is The American KGB and The Army of The Half-literate Hired Thugs M.N. Investigate the investigators! Save America! Reform the FBI now! 12.11.17 FBI Today Is The American KGB and The Army of The Half-literate Hired Thugs M.N.